In need of a new Apple computer! There are 51 replies in this Thread. The last Post ( Apr 6th 2018 ) by serafina. My good ol' Macbook is starting to show signs of the time. It shuts off and the fan becomes noisy. It has already been repaired once, and the guy said to change it whenever I have the chance as it has made its time... and those issues are known for my model/year. So, my ideal choice would be a 21" iMac with Retina screen. I can either buy it here or abroad. If I buy it abroad: could it pass unnoticed at the airport, if a tourist friend brings it in? Or since it is a desktop computer, it is an unlikely choice for a tourist? And what if I bring it in? I thought to buy an older model* so that the invoice price is lower and in case I am busted, the import tax won't be overwhelming. Last year, I went at the AFIP office in Aeroparque to declar my electronics before leaving the country: my iPhone 5 and my 2010 MacBook were deemed 'too old to be of interest' and so only my 2013 iPad made it on the list. The AFIP guy said that anything that is over 1.5 years old does not interest them. However, I cannot find a reference for this 1.5-year mark. If that is true, I just have to buy an older model while I visit my family in Italy. I have considered this as I want the exact same model. How would you plan to bring it in? Normally, I would "hide" electronics and of course always carry them on. That's not possible with the iMac 21.5, the screen size is fine for carry on dimensions but the overall PC is pretty big (that metal strip at the bottom). You can take the stand off to make it compact, but I still think its too big to carry on, although I would love to be wrong. So, if you have to put it in the hold, it's always at the mercy of the people who handle it. When you arrive here, it also won't be hidden as easily and will draw attention. When I was considering this, I though it would just be too hard to pass it up as a used product. Of course, no explanation would be needed if you could somehow place it in a bag out of the way of eyes, then it would be more down to luck. After weighing up the options, I decided I will be buying the iMac 21.5 Retina (I will get the middle model of the range) here. Sadly, that means paying a frankly absurd mark up on what the product is actually worth, but hey ho. I could consider simply paying the tax and probably still save money on the cost here, but I just don't trust baggage handlers, no matter how well packaged the item is. Well, when we moved here in 2014 we did bring a 27" iMac with us. My husband used his checked luggage allowance (1 pc) for the iMac. We had to consign it at the cargo station at Milan Malpensa, and we collected it on the standard conveyor belt in EZE, together with my suitcase. The iMac was in his original box, with polystyrene supports, etc. The external of the box was brown (the white box was inside). We were concerned about it making it safe to Buenos Aires and we got lucky. Of course he was held by AFIP, but since w had the moving paperworks stamped by the Argentinian Consulate in Italy we knew that we had nothing to pay. Anyway, it was an old model even then (bought in 2010, arrived in Argentina in 2014). In that occurrence there was no point in discussing the antiquity of the appliance, as we had the paperwork. About hiding an iMac, there is no hiding desktop or laptop. They scan all your suitcases, so if it is a laptop or a desktop, they will see it. 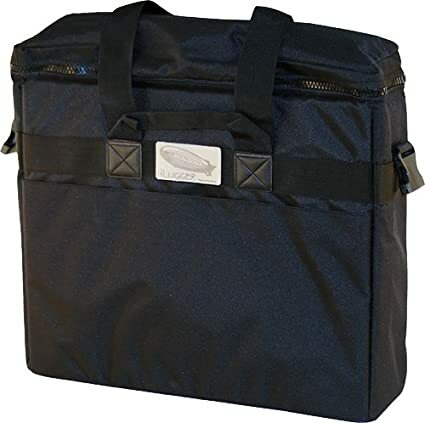 In the US they sell travel bags for iMac, and I remember reading of a guy that was even able to take it with him on the plane (this was in the US). There are different styles. 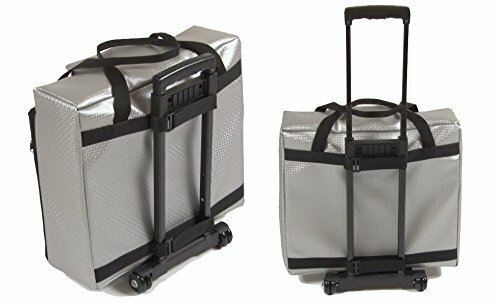 These are the first results I get on amazon.com for 'iMac carry case'. I am keeping an eye on those electronic importers that post a lot on FB. Some have a physical outlet, so that reassures me. Read the comments below each ad for details. The seller is often willing to trade. Still, I am completely with you when you realize that for that price, you should be getting the latest model with an Apple warranty to cover you in case of issues. In my case (I don't know where you are from), the difference is not at much with Italy's prices. Finally, you could get a family to come over here: their combined AFIP allowances would make up for the price of the computer. (The AFIP allowance is 300 USD per adult arriving by air, 150 USD for children. Half than that if traveling by sea or land, and they consider the family group in calculating the allowance). When I said hide, I meant it half in gest. I mean if it is tucked away in a carry on suitcase, it would be luck of the draw whether they check your bag. I brought an Xbox one here in 2014 which was a fair old brick but fit into a carry on bag. If they had checked that bag they would have probably had some question. It was, of course, down to luck that they didn't. In terms of the iMac, it would have to be brought in a bag that screams "I am carrying something valuable and/or important" so will almost certainly be checked. Unless it was just put ina regular old suitcase amongst all the clothes. I just don't trust checked luggage handlers after I have had a camera stolen and a guitar damaged (neither in Argentina). IPoint sells the iMac 21.5 inch retina 4K with the 3Ghz core i5, 1tb Hard-drive and 8gb ram, which is the middle of the range, for 40,000 pesos. In the U.K., the price is £1,249 or around 34,500. So yeah, the price is not drastic enough to go through the stress of bringing it through the airport. I am at the point I would just rather pay the extra 5,000 pesos to buy one here. When I said hide, I meant it half in gest. I mean if it is tucked away in a carry on suitcase, it would be luck of the draw whether they check your bag. Three times I entered Argentina, three times I got my bags scanned. Last time the guy in front of me got the red button and his luggage was manually inspected. He had brown boxes of electronics equipments, so no wonder the button turned out red. I got the green button and so mine had to pass under the scan and the lady asked where I was traveling from. My hand luggage was always scanned, The only thing that did not get scanned was my jacket. But there I can fit an iPhone, not a laptop. Iw as wearing two expensive wristwatches last time, each one on a different time zone so that I could play that card in case of questions. If the exchange rate keeps going as it is, you might be in for a threat and get an iMac for not that much more. Semigoodlooking , why don't you add a flag to your profile? It helps provide customized snaky remarks suggestions. With the dollar as it is, looks like much less hassle buying it locally. Even nearly new. I've been very lucky at Eze and in fact I've written one or two articles about my experiences which I'll try and dig out. Three times I have passed through and have never been Checked. Obviously the day I come through with an all in one pic in my bag will be the day I lose the lottery. Thing is about the prices, the origin USA model is not worth having, at least not for me. I don't really care about 4K resolution, but it's the processor in that one I don't want. It has to be the 40,000 for me, but origin China is worrying. Although, does Apple even build iMacs in the US? I thought they all came from China. I too want the Retina screen. I am currently working on a 2010 MacBook with anti-glare display and it is pretty cool. However when I look at Retina displays in the stores I drool over them... Are they just prettier or do they cause less eye fatigue? I spend a lot of time in front of the computer, and over time I really started to care about my eyes. My new glasses are with a blue light filter, so the lens are yellowish. Classic geek lenses, I think However I remember reading that modern computer do not emit that much blue light as old CRTs. Do you know any better? Well, maybe the descriptions on the iPoint websites are not accurate, or maybe they refer to their supplier (Chinese supplier vs. American supplier) rather than the country of manufacture. I believe Apple did all the production in China, but they were questioned about it and Americans wanted Apple products to be made in America. Maybe they actually moved part of the production to the US, but I am dubious. The only Mac made in the USA is the Mac Pro....the garbage can Mac. Maybe in the future. Wait, so the green light does not mean you get machine-scanned instead of manually searched? On MacStation (stores in Barrio Norte & Las Canitas, and online) the cheapest Retina iMac is about 39k ARS, which is the same RSP of Apple.it. Link here. Also Maxim Store has it for slightly less (link). However, when you buy at an Apple store you can return your old computer and a get a substantial discount. I do not think resellers do this. Anyway, I will be back to Capital in 20 days and I'll make a decision then. Semigoodlooking , have you bought yours? Edited once, last by serafina ( Mar 9th 2018 ). I think the discount you get for turning in your old Apple product is substantially less than you can sell that product for here in Buenos Aires. It's even less than selling it in the US unless things have changed recently. They do take condition into consideration. Selling a used Mac in Argentina is good business, as opposed to the USA. There are plenty around here, but presentation of the sale is everything. I've sold a few and proven that to be the case. I certainly wouldn't consider trading it in, not here anyway. My MacBook has a little flaw, which can be fixed by replacing a capacitor. I discovered this some months ago, brought it to an expat specialized in apple computer who I used before, but the issue is now back. I am not sure the fix was done properly. It is a 1 dollar fix but it takes an expert to know where to put the new capacitor. I would really love to have my MacBook fixed as it is a great machine with technical specs well above an entry level iMac with Retina display. This is why I don't think it would sell well. There's a Mac specialist in Martinez. I could ask there for you? Do you mean Josh? I had written him back then and he said he focuses on software. Not Josh, it's an Apple specialist store owned by Planet Store. serafina - I haven't bought mine yet. I went in the Apple shop last month and came out with an iPhone 8 Plus for my daughter. I went in the iPoint in Unicenter this week and came out with an iPad Pro 10.5 for my son. I think I am doing it the wrong way and now I have to wait until the end of the year (probably) for my Mac. Truth is I am in no big rush. Windows 10 is vital for me (I freelance for Microsoft), so I will be running Windows on the Mac anyway. Until I buy one I will make do with my Windows laptops.